Welcome to Wabi Sabi Salon online! 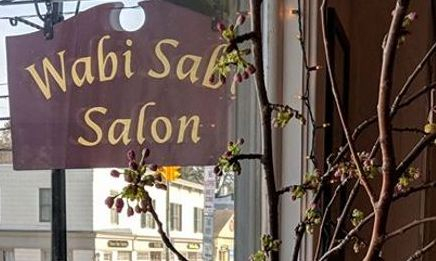 Wabi Sabi Salon is located in the heart of Locust Valley, Long Island. Christina McLaughlin, owner and director at Wabi Sabi, has a career that spans over 30 years. Christina's career began in the 1980's on 57th Street “Hair Fashion Row” in New York City. She is an expert in hair cutting and hair coloring. With her you will find the very important combination of technique, creativity, and experience. You may be wondering about the term 'Wabi Sabi'. The primary aesthetic concept at the heart of traditional Japanese culture is the value of harmony in all things. The Japanese world view is nature-based and concerned with the beauty of studied simplicity and harmony with nature. This Japanese aesthetic and philosophy with roots in Zen, which reveres artistry, nature, and the everyday, is called wabi-sabi (wah-bee sah-bee). This is the essence of the Wabi Sabi teams approach to hair care. Although Christina worked in high fashion for years, it is now her goal that each client be given the ability to have healthy, natural looking hair, which they can easily maintain for everyday. Gorgeous Finish with a Blow Dry! Lovely Gifts certificates available for you to choose from. My goal is that each client be given the ability to have healthy, natural looking hair, which they can easily maintain for everyday. Introducing "Davines Essential Hair Care", a daily hair care line. This line has multiple products dedicated to specific types of hair. Founded in Parma, Italy in 1983 by the Bollati Family, the Davines research charter favors ingredients of natural origin, which are organic, made from renewable resources, and eco-sustainable. Is your hair fluffy, frizzy, dry and unruly? to bring it back to a healthy smooth and shiny condition. $290.00 including shampoo and conditioner to take home.